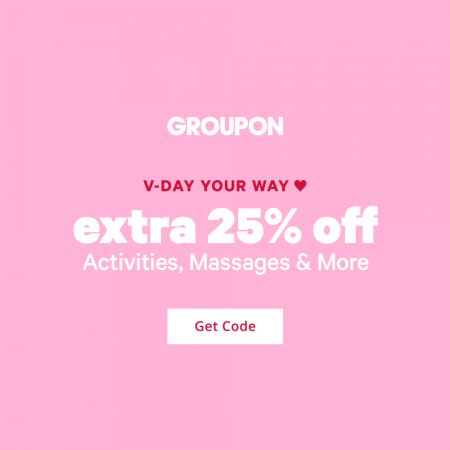 Groupon.com is offering an extra 25% off promo code! This promo code is valid for 2-days only from Friday, February 8th to Saturday, February 9, 2019 at 11:59pm PDT. This is going to be a very popular offer so don’t miss out! Groupon.com is having a Red Hot Deals Sale. The sale is available for 1-day only on Thursday, February 7, 2019. 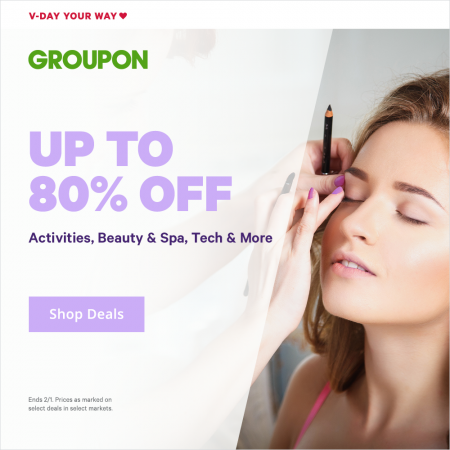 Click here to shop Groupon’s Red Hot Deals Sale. 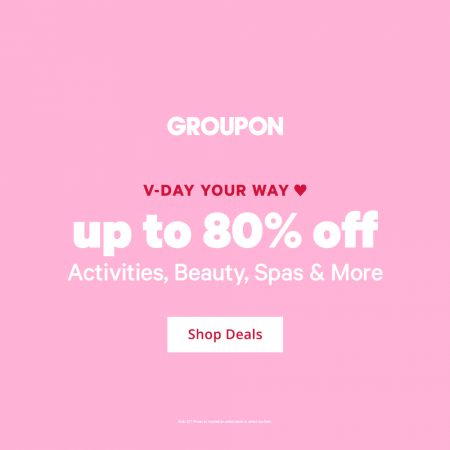 Groupon.com is having a Cupid’s Picks Sale! This promo code is valid for 2-days only from Tuesday, February 5th to Wednesday, February 6, 2019 at 11:59pm PDT. This is going to be a very popular offer so don’t miss out! This promo code is valid for 1-day only on Monday, February 4, 2019 until 11:59pm EST. Valid on 1 unit per transaction; max 3 uses per customer. Groupon.com is having a Sitewide Big Game Bonus Sale. Save up to an extra 20% off. Save an extra 20% off Local deals on Groupon when you enter the promotion code GAME at checkout! I’ve tested the code and can verify that it works. The code is valid on up to 3 local deals per customer. Also, the same GAME promo code will save an extra 10% off Goods deals and an extra 10% off Getaway (travel) deals. This promo code is valid for 2-days only from Saturday, February 2nd to Sunday, February 3, 2019. This is going to be a very popular offer so don’t miss out! 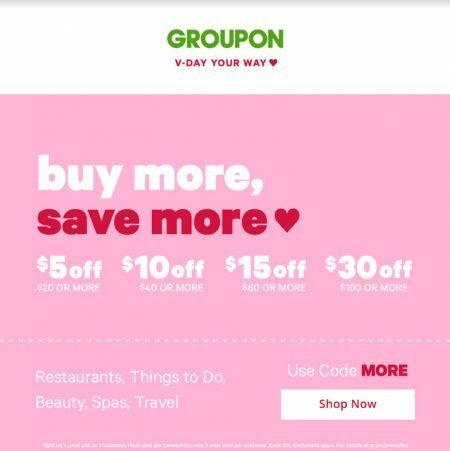 Groupon.com is having a ValenTIME Sale. The sale is available for 2-days only from Thursday, January 31st to Friday, February 1, 2019. 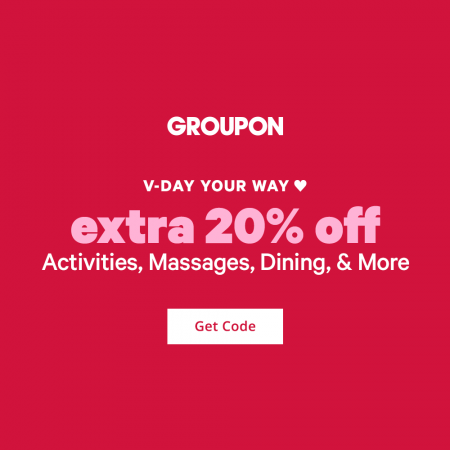 Click here to shop Groupon’s ValenTIME Sale. 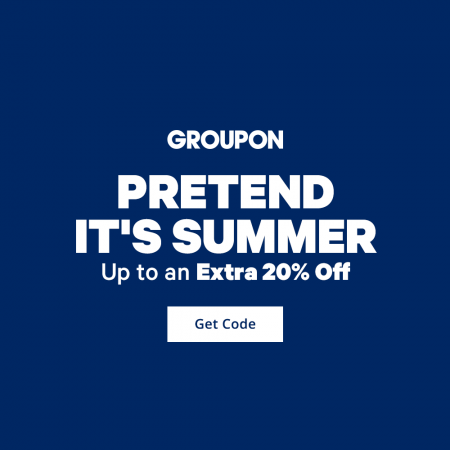 Groupon.com is having a Sitewide Pretend It’s Summer Sale. Save up to an extra 20% off. 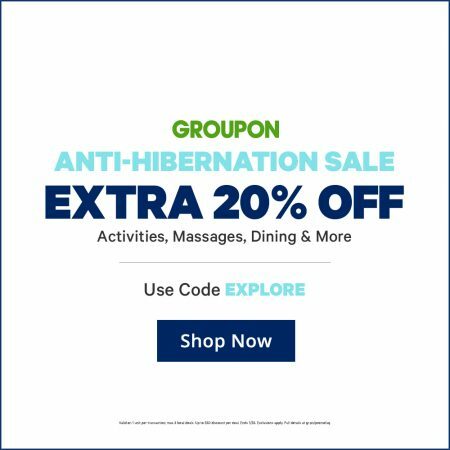 Save an extra 20% off Local deals on Groupon when you enter the promotion code SUMMER at checkout! I’ve tested the code and can verify that it works. The code is valid on up to 3 local deals per customer. Also, the same SUMMER promo code will save an extra 10% off Goods deals and an extra 10% off Getaway (travel) deals. This promo code is valid for 2-days only from Sunday, January 27th to Monday, January 28, 2019. This is going to be a very popular offer so don’t miss out! 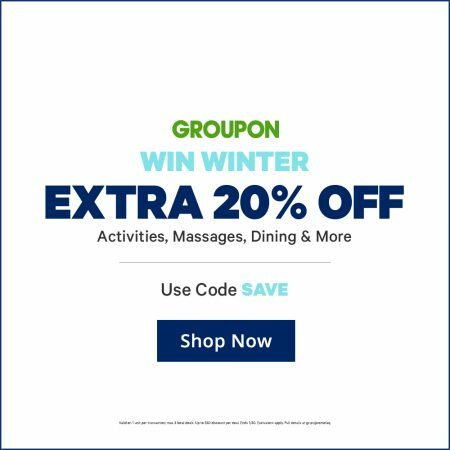 Groupon.com is having a What Winter? What Snow? Sale. The sale is available for 1-day only on Saturday, January 26, 2019. 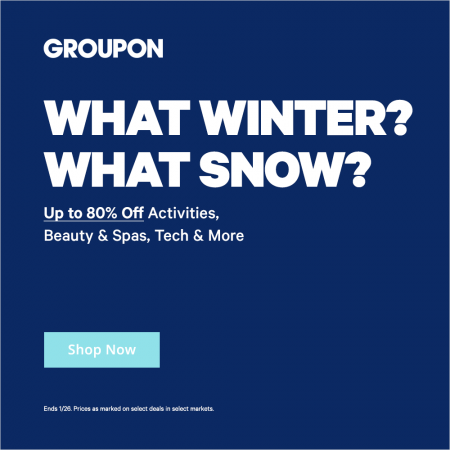 Click here to shop Groupon’s What Winter? What Snow? Sale. 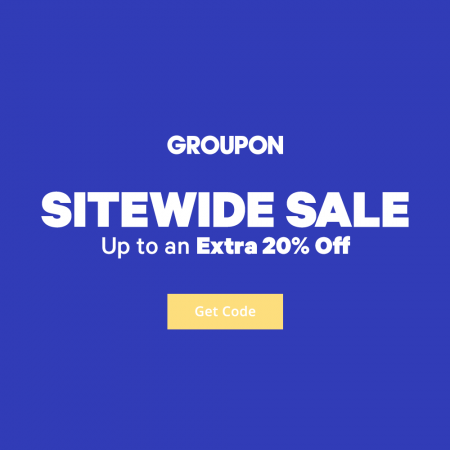 Groupon.com is having a Sitewide Survive The Snow Sale. Save up to an extra 20% off. 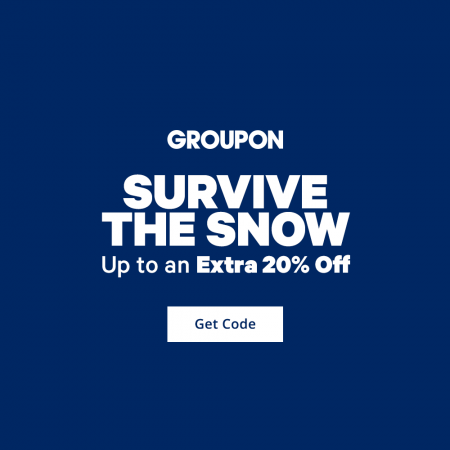 Save an extra 20% off Local deals on Groupon when you enter the promotion code SNOW at checkout! I’ve tested the code and can verify that it works. The code is valid on up to 3 local deals per customer. Also, the same SNOW promo code will save an extra 10% off Goods deals and an extra 10% off Getaway (travel) deals. This promo code is valid for 2-days only from Tuesday, January 22nd to Wednesday, January 23, 2019. This is going to be a very popular offer so don’t miss out!